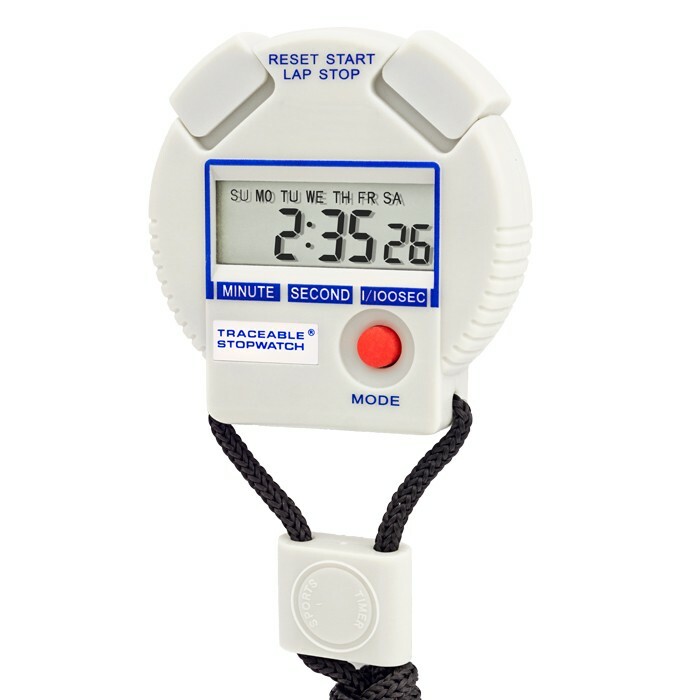 Workhorse LCD digital stopwatch reads times up to 24 hours. Resolution is 0.01 second. Accuracy is 0.01%. As a chronograph, the unit displays time of day in hours, minutes, and seconds, AM/PM, date, and day of the week. Also has a time-of-day alarm. Extra-tough ABS plastic shockproof construction makes the unit ideal for lab and plant use.